Have you ever remained quietly for about 10 minutes in a single posture, seated or lying on the back, and breathed slowly, exhaling and inhaling at a steady pace? Can you remain stable and strong and at the same time keep the body relaxed, when you do physical activities? If you want to be quiet and reflect about a theme, can you make the busy mind calm without losing your alertness? For all this, Yoga gives an answer. Reuniting body and mind with the help of the breath is yoga. 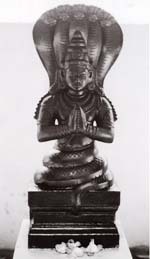 Yoga developed over several thousand years in the Indian subcontinent. In different geographical regions and at different historical times, different traditions of yoga have developed. One of the best known schools of yoga is the Yoga tradition of my teacher Sri T.K.V. Desikachar. His teacher and father Sri T. Krishnamacharya links the teachings of the great Yogi Sri Ramamohana Bramhacharya who lived in the high mountains of northern India with those of his spiritual ancestor Sri Nathamuni who belonged to the plains of southern India. 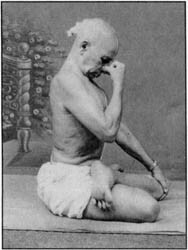 Sri T. Krishnamacharya taught for more than 60 years. In this period he had many students, out of which some have become the world’s most famous yoga teachers and have a very profound influence world-wide on yoga today. • Sri B.K.S. Iyengar founded a centre in Pune, India. 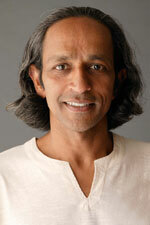 His students teach yoga world-wide under the name of Iyengar-Yoga. • Sri Pattabhi Jois founded a centre in Mysore, India. His students teach yoga world-wide under the name of Ashtanga-Vinyasa-Yoga. • Srimati Indira Devi founded a centre in Argentinia and has thousands of students all over the world. • Sri T.K.V. Desikachar remained a student of his Guru up to the latter’s death and founded a big centre in Chennai, India, the Krishnamacharya Yoga Mandiram, to which people from all over the world come to learn yoga, train to become teachers and to get healed from their ailments. His style of teaching Yoga includes many components – physical training, breathing exercises, mental reflections, studying of texts, personal experience of life and attitudes towards other human beings. The goal is to lead the student eventually into all the aspects of yoga. This is why one does not find an attribute to the word, "Yoga", the way he teaches it. The type of yoga is Yoga. Nowadays the term Hathayoga is used to denote all forms of yoga which involve the training of posture and movement. Drawing from a very comprehensive array of postural exercises, breathing patterns, meditation practices and mantras, the programme to be practiced by each individual is designed. This is based upon the individual's capacity, age, strength or ailments. It is not a standard set of exercises which every one does. In this way yoga is adapted to help fulfil the goals of the practitioner. The practitioner doesn't have to force himself to practice things which do not clearly help him or which even bring about physical or mental stress. At the end of each lesson the student is given a sheet guiding him through all the exercises he can practice at home. postural and breathing capacities. The goal is to develop strength, vitality and resistance power. Chikitsakrama - overcoming weaknesses or ailments. Here we adapt the techniques of yoga - physical movements, breathing exercises, mental reflections or voice exercises using mantras – according to the needs and capacities of the student, to help resolve the debilities and their psychosomatic symptoms. Adhyatmakrama - moving towards mental calmness and meditation. gelangen. Entsprechend der persönlichen Bedürfnisse und Fähigkeiten werden die verschiedenen Aspekte des Yoga - Asanas, Prananyama, Mantra, Meditation und Texte - vermittelt. Im Unterricht schließen sich diese drei Schwerpunkte gegenseitig nicht aus! The breath, or Prana, the essence of life, is at the core of all techniques. For the therapeutic application of asanas too it is very important to learn to breathe slowly and harmoniously. That resolves wrong breathing patterns and makes the breath calm and thereby the mind calm too. Breath control is essential also for learning to meditate for reducing the distractions of the mind and making it alert and capable of meditation. My teaching methods take these concepts of Sri T. Krishnamacharya – which I have learnt from my teacher Sri T.K.V. Desikachar – into account. who has composed the prime text on Yoga, Yogasutra around 2000 years ago. A fair knowledge of this scripture is essential for every yoga teacher. It reminds us of the main goal of yoga - to recognize one’s own illusions and weaknesses and to work against them with the help of the yoga practice. Yogasutra offers us many simple but precise concepts for physical and mental practices. Sri T. Krishnamacharya is an amazing Yoga personality of our times. Maharajas, children, women. simple people with illnesses, great personalities of his times, Europeans and some of the most renowned yoga teachers in the world, like Sri T.K.V. Desikachar, Sri Pattabhi Jois, Sri B.K.S. Iyengar und Srimati Indira Devi. It is Sri T. Krishnamacharya’s geniality, that he could adapt yoga very precisely to the changing needs and life-styles of our times. His strength and his physical control were legendary and he was deeply revered by great scholars of India for his knowledge and understanding of the several systems of Indian philosophy. Most of all, he was loved by many as the compassionate healer, who helped them regain health with Yoga, medicine and his words. 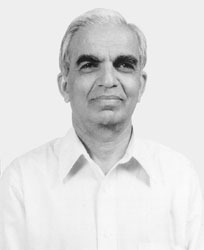 Sri T.K.V. Desikachar is very well-known all over the world as the teacher of yoga teachers. In a masterly way he makes Yoga teachers understand the need to gain professionality as well as gives them this professionality by teaching them. It is thanks to his clear vision and untiring efforts since the seventies that we have such a well-organised and renowned yoga centre in Chennai, where thousands of people learn Yoga and further thousands find a sophisticated way out of their personal ailments. He is a man with a profoundly respectful attitude, whether he is teaching yoga, speaking about his teacher, Sri T. Krishnamacharya, reflecting and adapting yoga techniques for the needs of ailing people or communicating with students, friends and acquaintances. That makes him an extraordinarily lovable human being. The credit for everything that I have learnt about Yoga goes to the teachings of Sri T.K.V. Desikachar. R. Sriram, has been a student of Sri T.K.V.Desikachar for almost 30 years. He taught yoga for several years under the guidance of Sri T.K.V.Desikachar at the Krishnamacharya Yoga Mandiram in Madras, a renowned institute for yogic studies which was established by the latter. During this period Sriram had fortunately a little learning contact with Sri T.Krishnamacharya too. In 1987 Sriram moved with his family to Germany. Today he lives partly in Chennai, partly in the mountainous regions of Odenwald in Germany (Beerfelden) and partly in Münich city. Sriram gives individual lessons, workshops and on-going courses, conducts guest-lectures in universities and private institutions and writes books.